Disneyland hours June 2019 for Monday-Friday and weekends. Enjoy your visit to the happiest place on earth! Summer is here. June is a great month to visit Disneyland. There are grad parties some nights, everyone is in a good mood with the school year ending and summer vacation beginning. The days are long with lots of sunshine, so you can enjoy the rides longer. 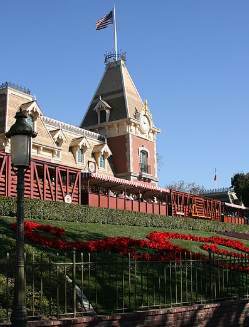 Disneyland hours Monday-Friday vary a lot throughout the year. In general, Disneyland hours on Monday-Thursday are similar, with the park staying open later on Friday night. Usually Monday-Friday are the best days to attend, as the lines are shorter. Southern California residents can enjoy less expensive annual passes such as the Southern California Select annual passport, which is available to use on most Monday-Friday days, except for popular holidays, spring break, winter break and summer break. Disneyland hours on the weekends also vary, with Disneyland park staying open late on Saturday night. The crowds are thinner on Sunday, especially Sunday morning. Disney California Adventure park next door is not as crowded. Most June days are beautiful sunny California weather, it doesn't get much better than this. Once schools are out for the summer, Disneyland is open most days from 8:00 AM to 11:00 PM, and California Adventure Park from 8:00 AM to 9:00 PM. Arrive early for the shortest lines! When are the Disneyland hours for June? Disney published these only 4-6 weeks in advance, so we will post the official hours when available. If it says "tent", that means the time is tentative, based upon last year's hours. The early morning admission hours and annual pass blackout days are also shown. *If you are lucky enough to have a ticket with early admission privilege, the early admission hours for Disneyland (DL) or California Adventure (CA) Disney parks are one hour before the regular Disney park opening hours. **Some Disney annual passes are blocked on certain days. All passes are good unless listed here as blockout days. Disneyland passports with blockout dates include Signature (S), Deluxe (DL) SoCal (SC) and SoCal Select (SCS) annual Disneyland passports.